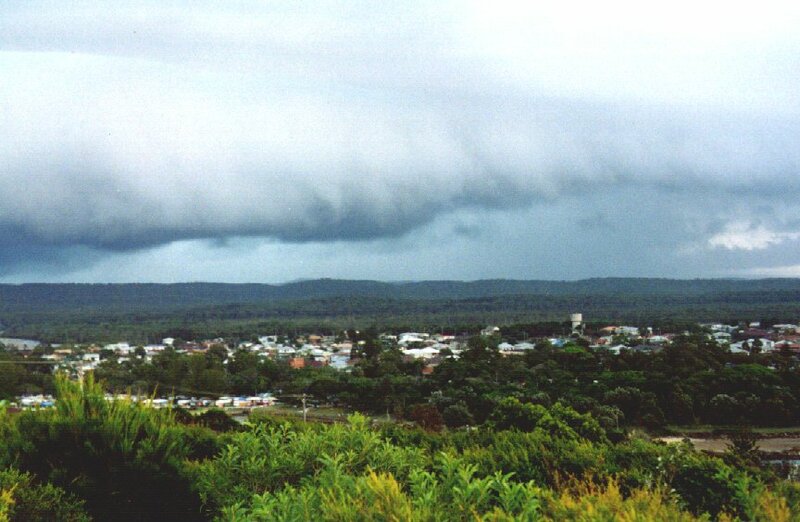 A base lowering from a severe thunderstorm near Grafton. 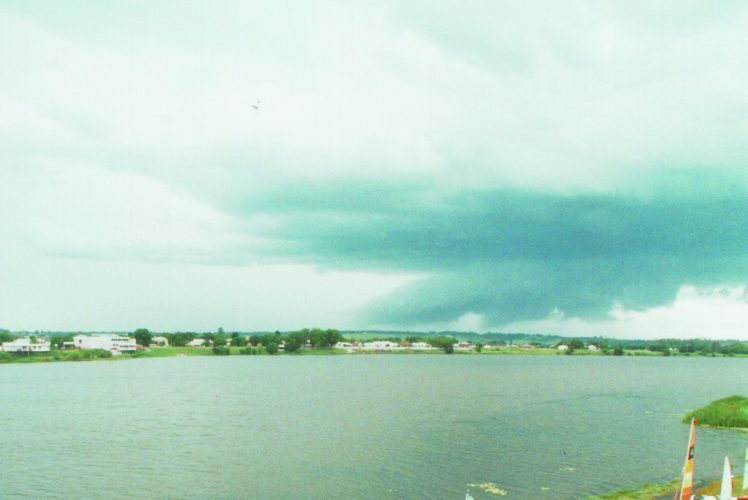 Although the first image appears to show a large wall cloud and tornado, the second image taken 10 minutes after the first, shows it to be an arcus and/or shelf cloud formation. 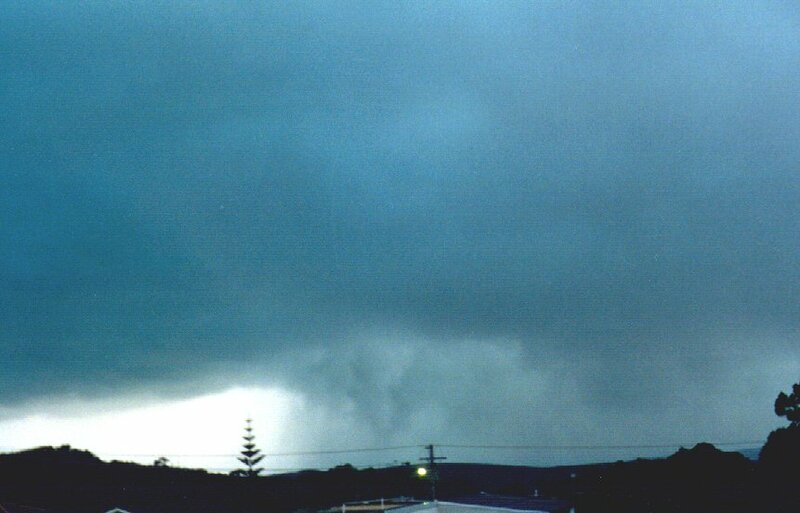 This storm system caused extensive damage at Evans Head (to the NE) about 2 hours later (5.30pm). 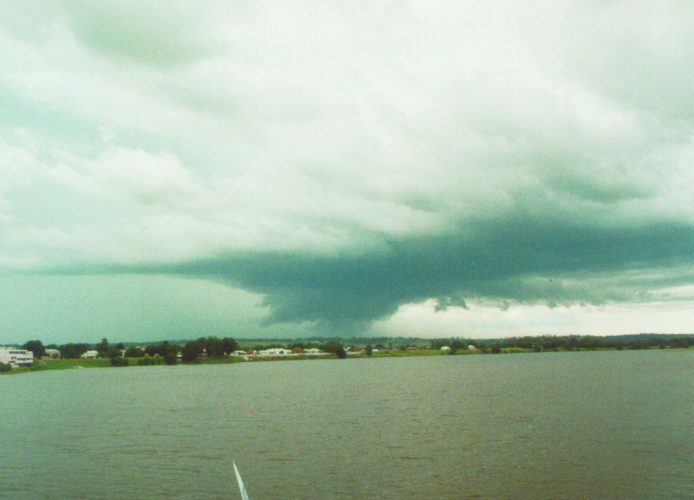 These photographs by Halden Boyd show the same storm about an hour later. 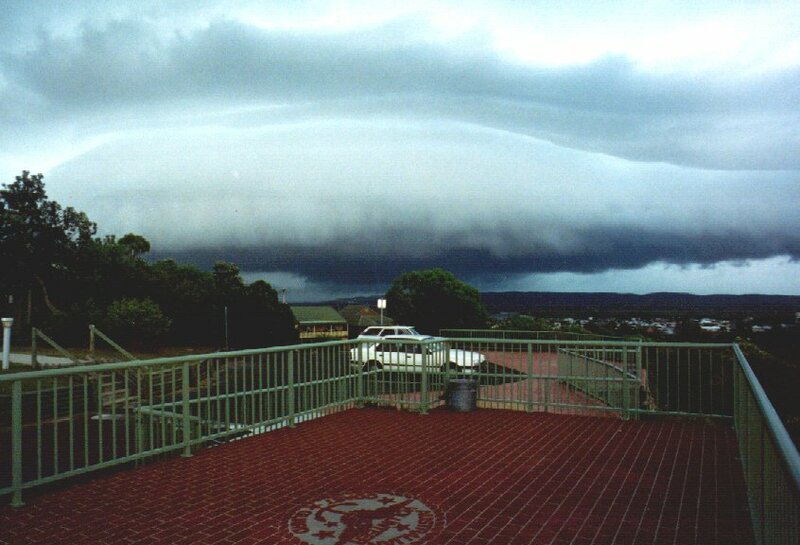 01: Taken from Razorback Lookout Evans Head looking west 30 mins before event. 02: Taken Razorback Lookout Evans Head looking SW 30 mins before event. 03: Taken Razorback Lookout Evans Head looking west 30 mins before event. 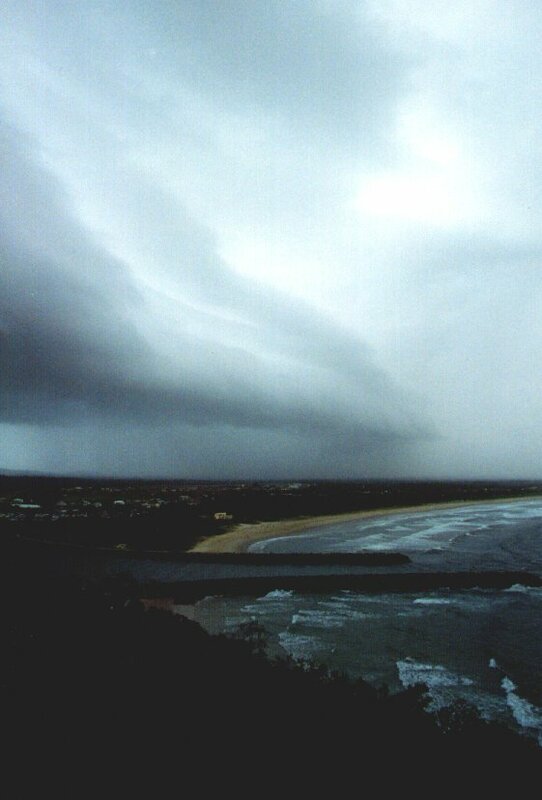 04: Taken from my home at Evans Head looking southest as the storm hit the area. The white patch in the lower left corner behind the Norfolk Pine is illumination from a barrage of lightning which accompanied the severe storm. Wind gusts 110kph. Rain 45mm in 30 mins, some hail, some reports of large hail 1 kilometer south.